Exceptional distance, extreme playability, and outstanding forgiveness can all be found in the Srixon Z 565 Graphite Irons. Thanks to features including a cavity back design, lightweight graphite shafts, new sole shaping, and 5-percent larger face grooves, players are sure to see performance improvements all around. The cavity back design makes the Z 565 the most forgiving irons in the Z series, making them perfect for players who want better play on their mishits. With the incredibly efficient Tour V.T. sole, these irons move smoothly through turf for little resistance, more power, and better control on impact, as well as tighter shot dispersion. Each club in the set also contains 5-percent larger Double Laser Milled grooves, which improve contact between ball and face even in rain or other wet conditions to improve the consistency of spin and control. Z 565 graphite irons use a precision forged 1020 carbon steel head to produce a smooth and consistent feel. A strong SUP10 face insert boosts ball velocities for better distance, while the Miyazaki Kaula 8 graphite shaft is lighter to further enhance feel and improve speeds. 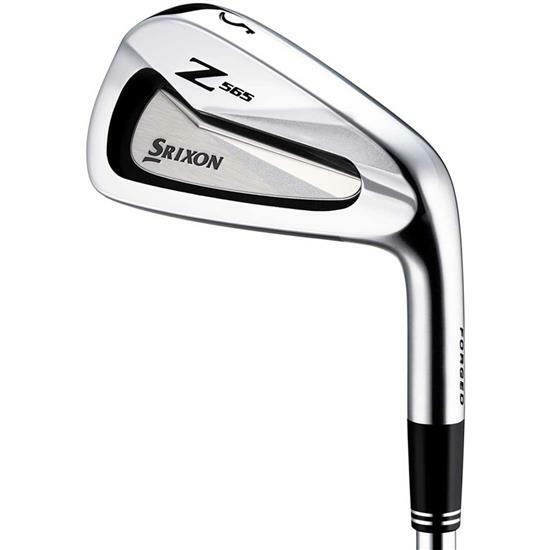 You are about to post a review for Srixon Z 565 Graphite Iron Set based on your knowledge of its playability. This review will show up under all variations of Srixon Z 565 Graphite Iron Set, including new, personalized, and custom logo.